Depending on how long you’ve been wearing a device, you may have witnessed the evolution of traditional technology to sophisticated hearing aids with Bluetooth. At The Hearing Group, we’ve also seen hearing aids graduate from obvious to discreet and from mere sound amplifiers to state-of-the-art devices. We want to share our expertise with you by helping you understand the benefits of using Bluetooth hearing aids. Despite challenges early on, Bluetooth devices are now robust tools, and some even have rechargeable batteries that last an entire day. You simply recharge the batteries much as you would your cell phone. 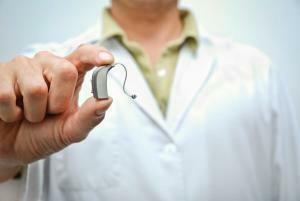 Bluetooth capability is leading to greater control and freedom for the hearing impaired. Let us our staff explain how Bluetooth can help you rediscover the nuances of sound at home and everywhere you roam. Bluetooth technology sends digital signals wirelessly over short distances, which is perfect for use with your cell phone, laptop or tablet. Let’s look at some of the specifics of how this works. Bluetooth devices use multiple channels to transfer sound, so they’re less likely to lose a signal due to interference than other digital technologies. Feedback and whistling problems associated with traditional hearing aids are greatly reduced with Bluetooth, so the sound quality is greatly improved. Bluetooth technology utilize localization to allow hearing aids to communicate and maintain a high quality of speech. This also allows you to identify where the sound is coming from. You can also hear your phone in both ears instead of just one. Using some hearing aids with Bluetooth, you can program your cell phone to ring in your device and talk hands-free at the click of a button. The sound being is delivered binaurally to devices in both ears. Bluetooth technology connects up to eight devices, so you can listen to your computer, TVs, cell phone, laptop, tablet or another digital device. Hearing aids with Bluetooth eliminate the nuisance of wires and lines to connectivity devices and also have applications for those with unilateral hearing loss wearing BiCROS listening devices. Call The Hearing Group today at (973) 542-4031 to schedule a consultation for a hearing aid with Bluetooth technology.